Bologna is a common ingredient in sandwiches. 2 How Long Will Dry Salami Last if Not Refrigerated? Bologna is a processed sausage lunch meat traditionally used to make sandwiches. Its wide availability, appealing taste and affordability have likely contributed to its widespread consumption. According to the website Food Reference, Americans reportedly devour about 800 million lbs. 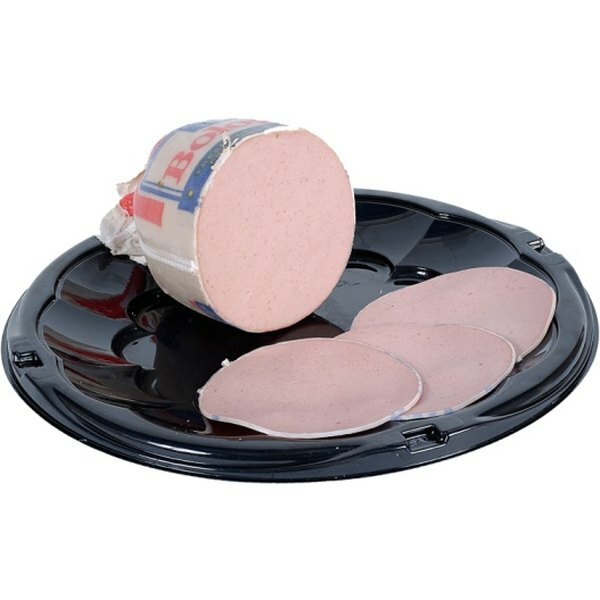 of bologna every year, purchased sliced and prepackaged or cut fresh at a deli counter. Mortadella, the earliest type of the meat, originated in Bologna, Italy and is traceable back to the 15th century. It was commonly a large smoked sausage made from pork and seasoned with visible chunks of peppercorns, pork fat, pistachios and green olives. The earliest recipes contained pieces of myrtle, a cultivated evergreen shrub of the Mediterranean region whose name in Italian is mortella. Mortadella is available at many delis and can also be purchased prepackaged. Bologna is made from pure beef or pork, a combination of the two or from a mixture of meat by-products such as tripe, heart, lips and stomachs. You can buy it in fat-free or low-fat varieties or flavored with garlic. 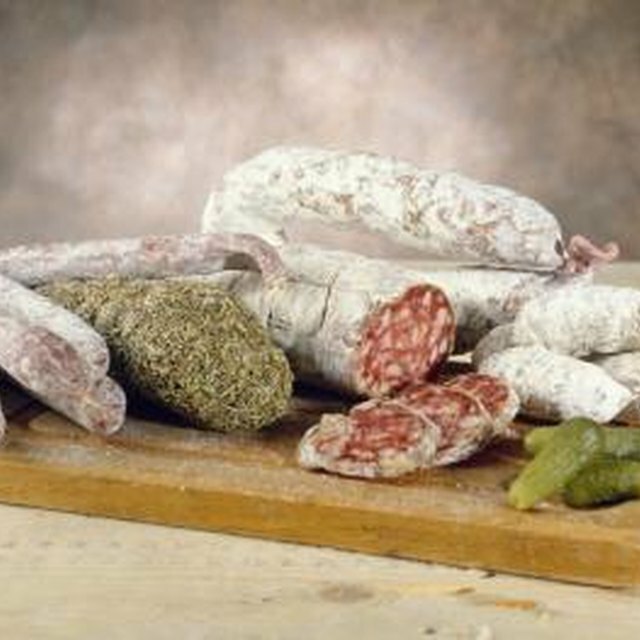 In some regions, other smoked sausages are called bologna and certain areas produce bolognas with unique flavors and colors. For example, Lebanon bologna is all beef, smoked and cured to a rich, dark color, with a bold, smoky taste. The sausage was first produced by Pennsylvania Dutch communities in Lebanon Valley, located in Lebanon County, Pennsylvania. Processed meats, also called sausages, comprise about 15 percent of American meat production and include over 200 kinds of cold cuts. This category includes any kind of meat that is chopped, has added flavorings and seasonings and is formed into a roll or log for easy slicing. Finer grinds of meat such as bologna, hot dogs and Vienna sausages are processed through emulsion, a process that uses water and water-based proteins to interact with the fats in the recipe, which keeps the products solid. Coarser grinds are not emulsified and are typically held together with natural casings. Processed meats are usually made from pork or beef but are also prepared with poultry, mutton and veal. Bologna frequently includes sodium nitrite. The main function of this additive is to deter the growth of Clostridium botulinum, the harmful bacteria that produce botulism in humans, a potentially fatal type of food poisoning that may also cause paralysis. Sodium nitrite also helps bologna maintain its pink color. Heavy consumption of nitrites has been linked to certain types of cancer. Does Boiled Ham Have Nitrites? What Type of Meat Do They Use to Make Gyros?